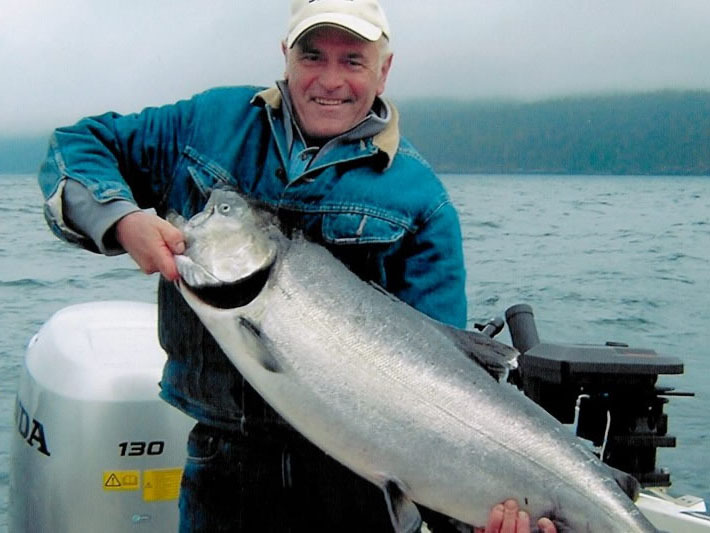 The best salt water fishing can be found just outside Sooke Harbour and around the Port Renfrew area in the Juan de Fuca Strait. 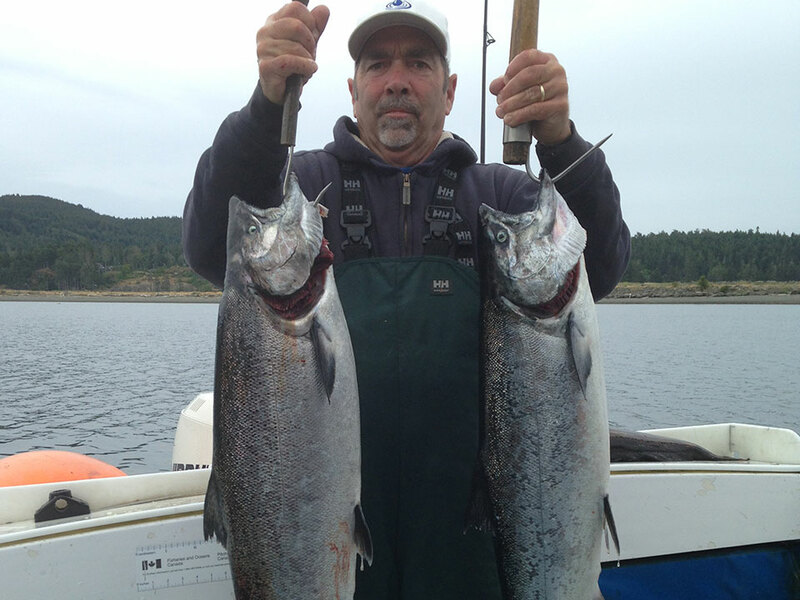 Salmon are plentiful all year round, particularly in the Sooke area for winter fishing. Also available is excellent bottom fishing – large halibut, ling cod and rock fish. Dungeness crab are also plentiful in Sooke Harbour and crab traps can be purchased or rented. While you’re on the water, keep your eyes wide open for eagles, seals, dolphins, Orcas and waterfowl. 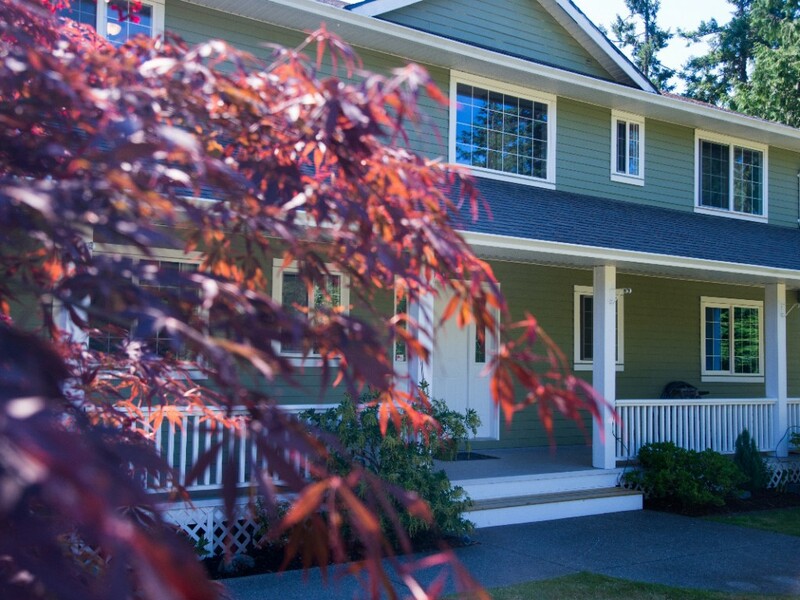 Charter fishers are available at great rates. They provide tackle, bait and (for additional charges) freezing, smoking and shipment of your catch. 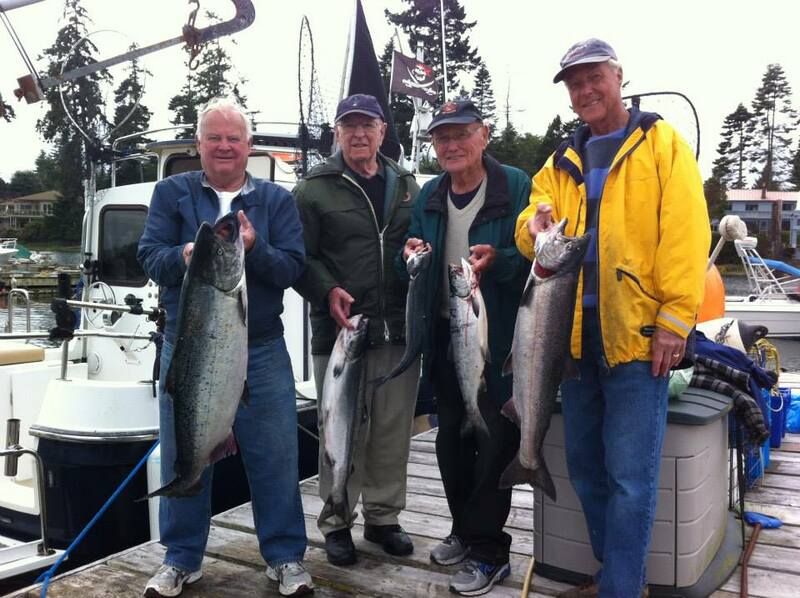 Sooke Flyfishers Club Fresh water fishing in Sooke and the surrounding area is excellent. With a professional guide or without one, you can enjoy fly and drift fishing for salmon, cutthroat trout, steelhead, rainbow and brown trout on the Cowichan and Sooke Rivers. If you prefer lake fishing, try nearby lakes where there’s cutthroat, rainbow and brown trout as well as yellow perch and bass. If you have a four-wheel-drive, try driving the logging roads to fish trout and steelhead in the Sooke Hills near Port Renfrew. Or, if you like backcountry and float plane adventures to glacial lakes, there are professional guides who can help you out. Fresh water licenses and organized guided excursions are easily found in Sooke.